There are over 21,000 spas in the United States, and behind each of them is someone with vision, passion and drive. That person loved the spa industry so much that they took their vision and made it happen. There are a lot of ingredients that go into the recipe for a successful spa, but a unique, memorable experience is definitely part of that equation. 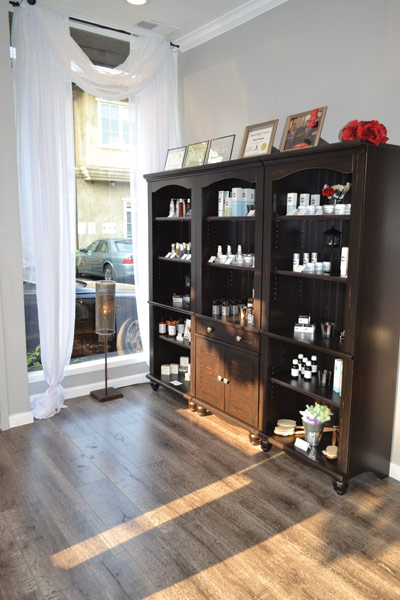 For a spa experience you will never forget, look no further than Ritual Day Spa, a spa nestled on a quaint street of Bay Area city Campbell, Calif., that offers warm customer service, a truly customized spa experience and a side of rock ‘n’ roll. Rock ‘n’ roll, you may ask? Read on. 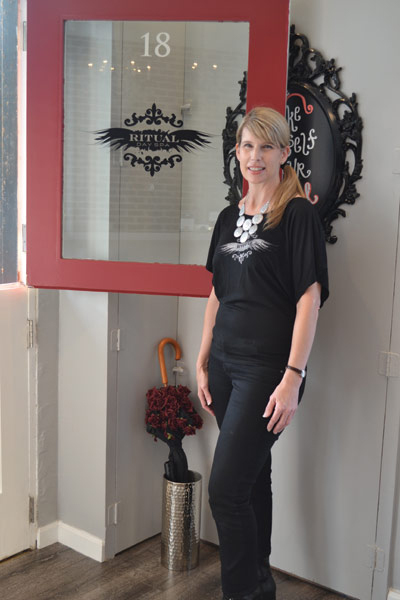 Ritual Day Spa took the vision of licensed esthetician and spa owner Julie Dewhirst and made it come to life. Already a spa owner (Bloom, Los Altos, Calif.), Dewhirst wanted to open another location and while at a The Killer Queens concert it came to her; she wanted a spa where clients cold receive effective skin care treatments while listening to their favorite music—a rock ‘n’ roll day spa. 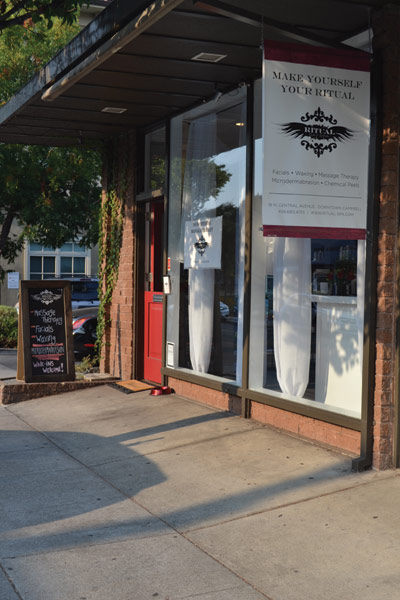 Skin Inc. visited Ritual Day Spa to sit down with Dewhirst, learn about what fuels her creativity, how she provides her clients with a unique experience and how she keeps business booming. Skin Inc. (SI): How did you get started in this industry? Julie Dewhirst: This is actually my second official job. After graduating from college, I became a marketing copywriter, but I quickly started burning out. I love beauty and skin care, and the idea of sitting in a room with soft music and lighting and rubbing people’s faces seemed like a good idea. So, I got my esthetic license, kept my marketing job and rented a room in someone’s shop for about a year. Initially, I wasn’t making much, but eventually as I made more and more money with more clients, I worked less at my day job until finally I made esthetics my main job and hired my first employee. We would later become Bloom. SI: Your concept is so unique. How did you think of it? rock ‘n’ roll day spa.” People kindly told me to think of another name. I thought about it, and it came to me. Skin care, massage and beauty...it is a ritual. So, I had my name and a vision. I was big into 80s glam rock, and I wanted the spa to look like Ozzy Osbourne’s basement. We came up with a logo that reflected that and began marketing. SI: How have you marketed the spa? JD: I mostly do social media: Facebook, Instagram, LinkedIn, Google+ and Pinterest. I use a platform called Hootsuite. I thought to myself, “marketing is my thing,” but it was so hard. It really is a full-time job. I made myself a social media calendar. Monday, I talk about services, etc. We talk about other community businesses. We put out an e-newsletter, but not a ton of e-mail. SI: What is your target demographic? JD: You know, it’s funny. I thought we would get a young crowd, but it is really people 20-50. It runs the gamut, and some are men. SI: How do you create a treatment menu? JD: I have to keep up with what is new and exciting. I do a lot of research looking at other spas, and I go to trade shows. The shows are really where you can see the great innovation. We just came out with a 24-karat gold facial. I also see what I like and let the therapist have a personal touch. SI: Do you ever do sale sites? JD: I am emphatically against Groupon. I don’t believe in putting yourself on sale. I feel like it diminishes the quality of the facial, and the client you get is just looking for the next Groupon. SI: What advice would you give a young esthetician who would like to open their own day spa? JD: You can’t do it out of school. School prepares you for the board exam, but not for the actual job or to be a business owner. The competition is fierce. Wait until you get little things under your belt. Be prepared to work long days. It takes time to build clientele [years]. Be realistic. Have dreams, but start slow and let it grow organically. SI: What is one of your most unique treatments? JD: We offer a Norwegian Seaweed Facial, which gives you the feeling of luxury, but works. We tout our ability to customize it for you. 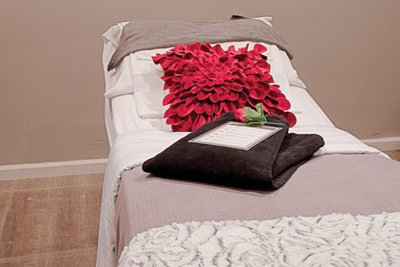 Once we see what you are experiencing, we customize the protocol for you, and that is the beauty of being a day spa. No facial should be the same twice. We are all about building relationships. I may do a vitamin C facial, but add in a different mask. SI: What is one of your biggest challenges as a spa owner? JD: It’s really hard to find good estheticians. I took a chance on someone out of school. I’ve had an experienced esthetician who wasn’t very good. You definitely have to do your due dilligence. JD: I personally train everyone for two weeks. We bring in models and practice protocols over and over. I think it is important that everyone knows my expectations. JD: All of us need to be reminded that it is about customer service. You can’t take it personally when a customer is upset. I appreciate every customer I get. We want to make sure they feel it from the moment the girls greet them in the front. We talk to them about their experience. They are more inclined to tell you about a bad service than give you a bad review. It’s about building those relationships, and I take notes on what they say. SI: How do you address a complaint? JD: I take a step back and be as professional as pssible. If it is about a person, I address it. We always take them very seriously and respond accordingly. Sometimes, it is not a personality match. We should read what our customers want. It is a hard thing to learn or to teach. You learn it with time. I hire on personality rather than skill. SI: How do you choose your product lines? JD: My other day spa uses private label lines, so it was natural to bring in the lines I knew. I am a small day spa and couldn’t affort the opening order for some lines to start. I still feel like I made the right choices. You have to choose lines that fit your budget and philosophy. Most of my retail is private label, but I have a few targeted lines. And, I have brought some lines in for specific treatments. For example, we do PCA chemical peels. SI: How do you approach retail? JD: You can make some decent money on retail. I don’t make as much money as I should. I want to be close to the same price I am charged because I want to make it affordable for my client. It’s not about profit for me, it’s about retention. It allows them to try it and keep up their skin care. It builds loyalty. I have never been the type to bash someone’s regimen if it is working for them. I will suggest something else if they are having skin issues.